Well, that was some hangover. For the first time since Russell Wilson’s moment-of-glory-pass at the goal line in Super Bowl XLIX was intercepted by Malcolm Butler, the Seattle Seahawks head into a game again with a winning record. Uh-oh. The Seahawks are not dead yet. They are gearing up for another run. This should really concern the teams in the NFC – including the Carolina Panthers and Arizona Cardinals – harboring legitimate Super Bowl aspirations. 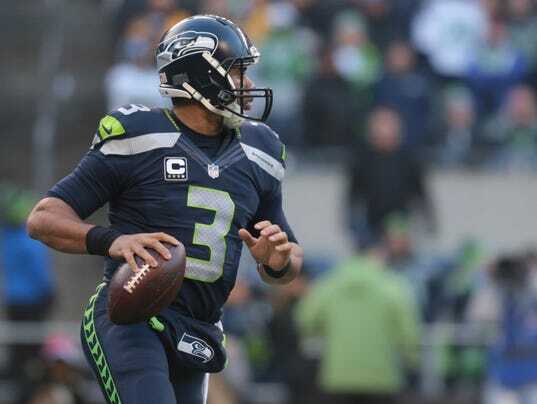 The Seahawks should be the last team they’d want to face in the NFC playoffs. With improved protection from the patchwork offensive line that Tom Cable has put together, Wilson is killing it from the pocket. He is still lethal with his legs, but he’s growing as a passer. Michael Bennett and Cliff Avril, rushing off the edges.